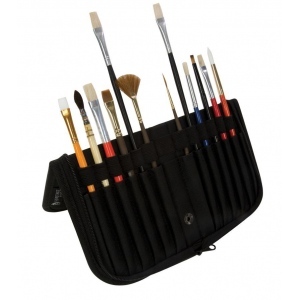 These convenient durable heavy-duty nylon brush holders each hold 14 brushes or tools. 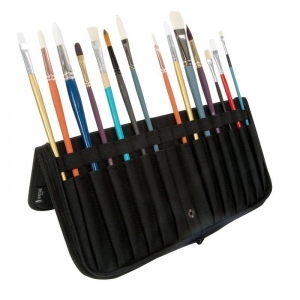 * A snap mechanism allows the brush holder to stand freely for ease of use. * The holders have a three-sided zipper enclosure to protect contents. * Holds brushes up to 13 3/4" in length. The capacity is 14 brushes. The type is brush and tool holder.